So I got really lucky and have some how managed to rank up my 4* Primal, Waspy, & Cheetor to R5L50. Soon after that I found a 5* Primal and 5* Cheetor. So that's my current team, although I don't cover 5/6 I do well in most missions. 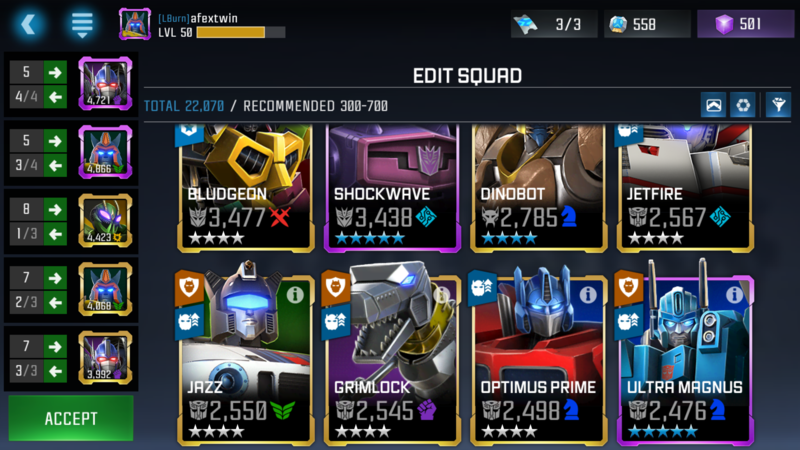 I found a 4* Dinobot the day before the awful 100$ deal arrived and 4* Scorpionok is soon to be free. My question is who do I replace on my team with these 2 new boots, or do I avoid using either because my current team synergy is better than if I were to swap? 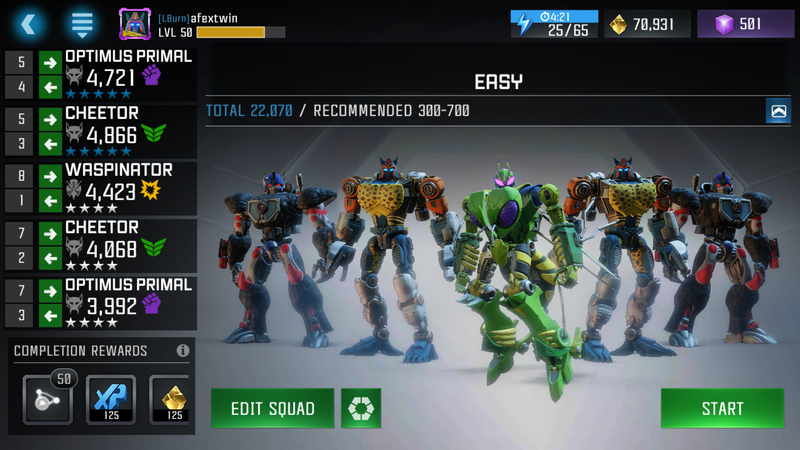 I'm pretty casual, have been playing this game since day one but am only just now breaking 20k for my 5 bot team rating. Replace Scorpy with your 4* Primal or Cheetor. You need those 5*s for damage/crit rate boost. I understand everything except this part. Are furries and samurais the type of synergy provided by the characters? Here is what I'm working with. Perfect! Bludgeon and Dinobot would work well together since they both rely on SM synergy to dish out high crits. Yours is even maxed out! Aw man, look at those cool cats. And gorillas. And uh, a wasp. 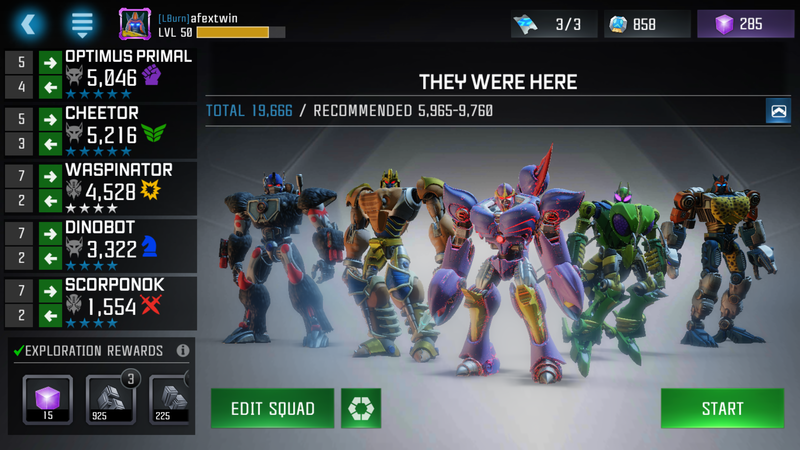 4* Primal with Scorponok, and maybe 4* Cheetor with Rhinox if you have him. No 4* Rhinox yet, my 3* rhino is almost 1500 though. 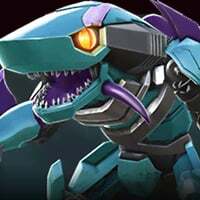 You should definitely level up Scorpy. Great utility with the Backfire and Daze, and great damage of you stack up those Venom charges. Definitely one of my favorite Beasts in the game. That, @afextwin , is an awesome breast squad. Once you level up your Scorponok...woof. Tyvm. I've been saving my 4* SIG unlock from the current monthly for this team, but now I'm thinking of maybe just waiting until I get Dino and Scorp to 5/50 before using it on either and really not sure which to use it on. 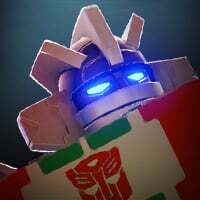 I grinded intensly for Scorponok, which resulted in him being the first 4-Star I've gotten from the store and he's been such a great help for me. He's been the go to Warrior for me, as he now helps me with much of Master Mode in Spotlights. Haven't gotten him duped yet, as I've missed a few days on the calendar, but I'm eager to get his healing ability. Scorponok. 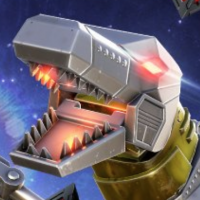 Unless you're totally into using Dinobot. Honestly, I really dislike using Dino - almost as much I dislike playing against him. I'm waiting til both are 5/50 then using the signature unlock on Scorpy if I haven't duped him by then. 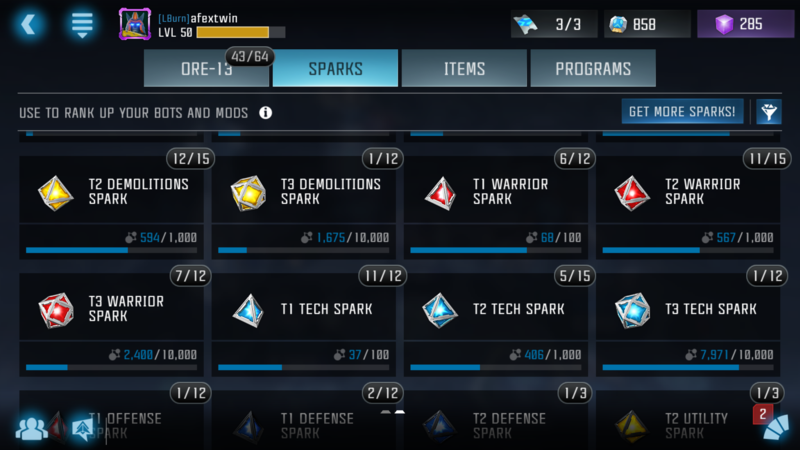 Just need some gold and t3 basic sparks. I'm also a scorp fan. he's really useful & fun to play too. Mine look like this ATM. 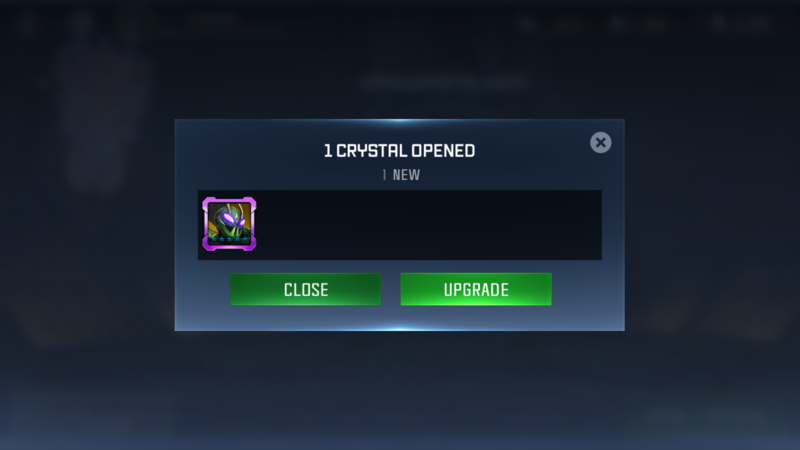 Yo fam....I think kabam just trolled me and hooked me up big time all at once.